Purchase A4 custom printed notepads with your graphics or logos. Each page is expertly printed. We can print these with a gorgeous full colour print, or we can adjust your graphics so it appears as a subtle watermark. The choice is yours. These promotional notepads in an A4 size, is the perfect product for when you want to impress at your next conference, tradeshow, expo or exhibition. The displayed price includes your graphics and images printed with a full colour print on each page. 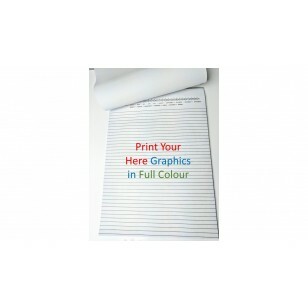 No ruled lines or grid lines and simply have your graphics printed on them.